Last week I spent two days naming the first 1o characters that I was going to look up in the video game Scribblenauts Unmasked. I think you’re going to be surprised by some of the characters that made it into the game. I know I was surprised by some of the things that were left out. The character reveals will run Wednesday and Thursday. As far as the game goes, it is a good deal of fun. I haven’t played a Scribblenauts game since the first one. At one point last night I tamed a bear. Since it was tame I decided to ride it. Then I pulled up my note pad and suddenly it was a rocket powered plaid bear wearing a red football helmet. Enough of that though, let’s get to the list. 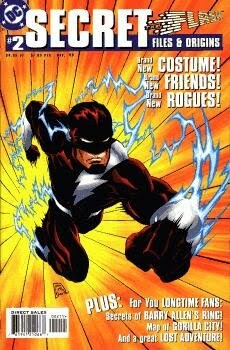 Walter West is not in the game, not even as the Dark Flash. I’m not going to lie; this surprised the hell out of me. I figured it would be one of the easiest things on my list. There are a lot of Flash characters though; heroes, villians, and supporting characters. I will most likely be taking a look at the Flash content of this game on Friday. There is a lot to it and I want to make sure I’m not missing anything. Comet is in the game! Not just as his horse form either; there is also the humanoid version from the Peter David Supergirl stories. I’m not going into that version’s history, I wasn’t reading Supergirl and trying to understand it makes my head hurt. Jack O’Lantern is in the game! Okay, the costume isn’t the same one I posted a picture of, but that’s because I used a picture of my favorite version and not the most recent. 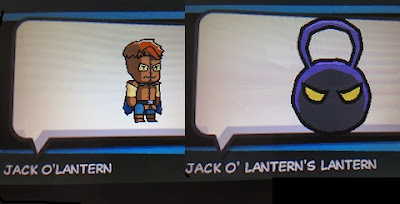 On top of just being able to create Jack, you can also create his lantern. Seriously, it has its own entry in the game. That’s pretty impressive. Haunted Tank is not in the game. This one is a little disappointing. You can create tanks. Vehicles like the Bat-Tank are in the game. 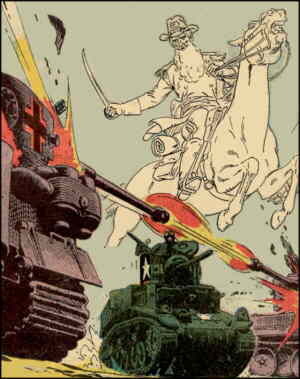 War characters like the Losers and Blackhawk are in the game. You can create a tank and then create a ghost to drive it. It’s not the same but it is as close as you can get. Tallulah Black is not in the game. Although I figured she was a bit obscure she is a pretty recent character. When the game didn’t find her I figured it might be because she was a western character and this is a game about superheroes. There are some western characters in the game though; Jonah Hex, Bat Lash, El Diablo, Nighthawk, and two versions of Cinnamon are all included. 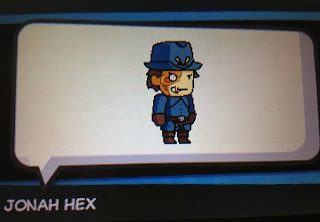 Also, I had to include a picture of Jonah Hex because he’s adorable. That’s the first five! Only two members of our list were actually included. Check back tomorrow to see who else made it into the game.